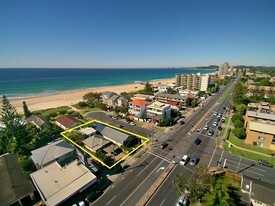 95 Commercial Real Estate and Properties in Gold Coast are listed in 9 categories. We have 438 Offices for Sale & Lease , 373 Industrial Warehouses for Sale & Lease , 343 Retail Shops for Sale & Lease , 90 Development Lands for Sale & Lease , 58 Showrooms for Sale & Lease and 54 Hotels and Leisure for Sale & Lease . Fenced and gated with power to site Land size is 2,327M2 Lease Terms Month to month $29M2 1 Year $27M2 3 Years $24M2 Outgoings included. Services to be paid by the tenant. Rare double block 1,214m2 on 2 titles with approved DA in the heart of the sought after TSS and Ferry Road Market precinct. Existing charming 3 bedroom, 2 bathroom solid house on site,renovate or redevelop. OPTIONS A PLENTY Ready to build with approved DA for 4 x luxury architecturally designed residences. Go back to council and increase density (STCA) Live in existing home? Renovate? Build dream executive home? Rent out build later? Sell vacant land and keep existing house Magnificently positioned site, located a short stroll to TSS, the popular Ferry Road Markets Light Rail Station. Only minutes to: James Overall Park (Brighton Parade) 750 meters Broadwater Parklands Woolworths Shopping 1.3km Southport CBD 1.3km Surfers Paradise beach 4km Main Beach 3.9km All offers submitted, Will Be Sold! Approx Disclaimer: Ray White has not independently checked any of the information we merely pass on. We make no comment on and give no warranty as to the accuracy of the information contained in this document which does not constitute all or any part of any offer or contract by the recipient. Prospective purchasers / lessees must rely on their own enquiries and should satisfy themselves as to the truth or accuracy of all information given by their own inspections, searches, inquiries, advices or as is otherwise necessary. No duty of care is assumed by Orchid Avenue Realty trading as Ray White Surfers Paradise Commercial divisions toward the recipient with regard to the use of this information and all information given is given without responsibility. Total Land Area 6.14 Ha (61,400m2 ) To be Sold as 3 Parcels or in One Line. Lot 3: Land area 4.45 Ha (44,475m2 ) incl. access easement DA approved for 39 dwellings (incl 37 detached and 2 attached on 38 Lots) lots sizes range from 510m2 up to 1,478m2 Opportunity to increase density of Lots Dwellings (Subject to Council Approval) Lot 1: Land size: 0.96 Ha (9,644m2 ) with DA Approval for a COMMERCIAL TOWN CENTRE Incl: CHILDCARE CENTRE approved for 75 Places (677m2 internal area plus 657m2 external play area) COMMERCIAL CENTRE over 2 Levels Incl. Basement, permitted uses incl: Shops Cafe / Restaurants / Fast Food / Take Away Food Medical Centre Veterinary Clinic Commercial Services / Offices Convenience Shop Laundromat / Service Industry TOTAL GFA 2,436 m2 Plus Alfresco dining areas and External play area Lot 2: Land Size : 1,208 Ha (12,080m2 ) comprises 1 x Large residential prestige homestead with opportunities to further develop site (STCA) Located in the picturesque suburb of Gilston, at the doorstep of Gold Coast Hinterland with peace quite and all the conveniences at your finger tips boasting country living close to city facilities and beaches: Only 4 minutes to Gilston State School St Brigid's Primary School Only 6 minutes to Nerang CBD an M1 Pacific Motorway Only 5 7 minutes to Robina Town Centre and Mudgeeraba Grand Golf Course 3 minutes Hinze Dam 9 minuntes Broadbeach Surf 23 minutes Only 18 minutes to Southport CBD Approx Disclaimer: Ray White has not independently checked any of the information we merely pass on. We make no comment on and give no warranty as to the accuracy of the information contained in this document which does not constitute all or any part of any offer or contract by the recipient. Prospective purchasers / lessees must rely on their own enquiries and should satisfy themselves as to the truth or accuracy of all information given by their own inspections, searches, inquiries, advices or as is otherwise necessary. No duty of care is assumed by Orchid Avenue Realty trading as Ray White Surfers Paradise Commercial divisions toward the recipient with regard to the use of this information and all information given is given without responsibility. Mixed Use Development Opportunity Offers To Purchase Closin..
Land area 2,429m2 Current holding income $93,745.92 Net Two street frontages Ideal for end user or investor Huge exposure on major arterial road Approx Disclaimer: Ray White has not independently checked any of the information we merely pass on. We make no comment on and give no warranty as to the accuracy of the information contained in this document which does not constitute all or any part of any offer or contract by the recipient. Prospective purchasers / lessees must rely on their own enquiries and should satisfy themselves as to the truth or accuracy of all information given by their own inspections, searches, inquiries, advices or as is otherwise necessary. No duty of care is assumed by Orchid Avenue Realty trading as Ray White Surfers Paradise Commercial divisions toward the recipient with regard to the use of this information and all information given is given without responsibility. 6 lots to be sold individually or in one line Land area combined 3036m2 or circa 506m2 individually JV scenarios welcome Zoned "High density residential" Current approval for 190 dwellings Surplus land holding Submit all offers Approx Disclaimer: Ray White has not independently checked any of the information we merely pass on. We make no comment on and give no warranty as to the accuracy of the information contained in this document which does not constitute all or any part of any offer or contract by the recipient. Prospective purchasers / lessees must rely on their own enquiries and should satisfy themselves as to the truth or accuracy of all information given by their own inspections, searches, inquiries, advices or as is otherwise necessary. No duty of care is assumed by Orchid Avenue Realty trading as Ray White Surfers Paradise Commercial divisions toward the recipient with regard to the use of this information and all information given is given without responsibility. The Townhouses include contemporary designed three bedroom, one study, three bathroom and double car garages. Previously had DA approval for 62 apartments, so it can be changed to an apartment site if desired. With a land area of 7,367m2 this north facing development site within Gold Coast's North Shore Precinct is sure to impress. Already connected to all services including roads, water, sewerage, storm water, power and communications. It has two street frontages with bonus block on the other side of Halcyon Way, and another to Broadwater Avenue the main arterial linking Hope Island to the Pacific Motorway. This site's location is undeniably superb with conveniences and amenities right at its doorstep including shopping, entertainment, restaurants, schools, parks, medical centre and serviced by public transport. Within walking distance: 3min walk to Broadwater Avenue at Crescent Avenue Bus Stop 210m. 3min walk to Kids Academy Hope Island Early Education and Care 220m. 3min walk to Arcare Hope Island Aged Care 240m. 3min walk to Broadwater Avenue Park 270m. 3min walk to Broadwater Plaza Shopping Centre 290m. 4min walk to Health & Medical Precinct including Hope Island General Practice, Queensland X Ray, Pharmacy, Pathology, Dentist, Physio, Podiatry and Specialists 300m. 5min walk to Bonny Babes Child Care Centre Hope Island 450m. 6min walk to the newly opened Hope Island Market Centre including Woolworths, Aldi and a variety of dining & specialty stores 450m. 6min walk to Hope Island Tavern 450m. Driving Distance: 4min drive to Marina Shopping Village. 5min drive to Paradise Point Shopping and Retail Precinct. 5min drive to Coombabah State School. 7min drive to Helensvale State High School. 7min drive to Marine Village Sanctuary Cove. 8min drive to Pacific Motorway M1. Within 10min drive to The Pines Golf Course, The Palms Golf Course & Links Hope Island Resort Golf Course. 10 12min drive to Gold Coast Theme parks. 26min drive to Surfers Paradise. 45min drive to Brisbane CBD. The Gold Coast is the sixth largest city in Australia and to meet its rapidly growing population approximately 8,000 new dwellings per year are required. New residential supply is at extremely low levels and including the vacancy rate of under 2% the Gold Coast desperately requires new housing stock. Hope Island itself is located in the Gold Coast's northern growth corridor which is one of the fastest growing regions in Australia surrounded by mostly prestigious homes on or off the waters. All information contained herein is gathered from sources we consider to be reliable. However, we cannot guarantee or give any warranty about the information provided, interested parties must solely rely on their own enquiries. Address: 50 Broadwater Ave, Hope Island, QLD, 4212 Price: Offers from $2,400,000 + GST Inspect: Any Time, Vacant Land Contact: Harvey Huang/Peter Huang, D: 3373 9872, M: 0401 026 693, E: Harvey.huang@yong.com.au. A very manageable quick in quick out project, the Apartments are configured by 1 x one bedroom, 30 x two bedroom & 14 x three bedroom units inclusive of 63 basement car parks, bicycle racks, 2 passenger lifts, sky deck with entertainment facilities and landscaped grounds, gymnasium & games room. With a land area of 1,182m2 this development site has an unbeatable location right next to the Southport CBD. It is situated on a corner block with two street frontages, Nerang St & Queen St. This site's location is undeniably superb with conveniences and amenities right at its doorstep including shopping, entertainment, restaurants, schools, parks, medical centre and serviced by public transport. Walking distance to Southport CBD. Opposite the $800million "Queen Street Village" master planned village. Right next to the new $250million light rail network that goes from the Gold Coast Hospital all the way to Surfers paradise and Broadbeach. 2min walk to Southport Medical Precinct Bus Station 190m. 2min walk to St Hilda's School 200m. 3min walk to Southport Private Hospital 200m. 4min walk to Nerang Street Light Rail Station 300m. 4min drive to Australia Fair Shopping Centre including Woolworths, Coles, Event Cinemas, Suncorp, Commonwealth Bank, Kmart, Daiso, Pharmacies, Optometrists, almost 40 Restaurants, a multitude of specialty stores etc. 1.3km. 4min drive to Broadwater Parklands 1.4km. 4min drive to The Southport School 1.5km. 5min walk to Primary Medical and Dental Centre Southport 500m. 5min walk to Southport State School 500m. 5min drive to TAFE Queensland, Gold Coast Region 1.6km. 5min drive to Southport State High School 1.9km. 5min drive to Keebra Park State High School 2.5km. 9min drive to Surfers Paradise 4.5km. 12min walk to Chinatown Gold Coast 950m. 12min walk to Southport Train Station 950m. The Gold Coast is the sixth largest city in Australia and to meet its rapidly growing population approximately 8,000 new dwellings per year are required. New residential supply is at extremely low levels and including the vacancy rate of under 2% the Gold Coast desperately requires new housing stock. All information contained herein is gathered from sources we consider to be reliable. However, we cannot guarantee or give any warranty about the information provided, interested parties must solely rely on their own enquiries. Address: 153 Nerang St(166 Queen St), South Port, QLD, 4215 Price: Offers from $2,250,000 + GST Inspect: Any Time, Vacant Land Contact: Harvey Huang/Peter Huang, D: 3373 9872, M: 0401 026 693, E: Harvey.huang@yong.com.au. The Townhouses are architecturally designed, three bedroom, one study, three bathroom and double car garages. With a land area of 8,136m2 this north facing development site within Gold Coast's North Shore Precinct is sure to impress. Already connected to all services including roads, water, sewerage, storm water, power and communications. The site is slightly lowered, therefore decreasing the development process and making it suitable for placing in services and foundations etc. It has two street frontages with bonus block on the other side of Halcyon Way, and another to Broadwater Avenue the main arterial linking Hope Island to the Pacific Motorway. This site's location is undeniably superb with conveniences and amenities right at its doorstep including shopping, entertainment, restaurants, schools, parks, medical centre and serviced by public transport. Within walking distance: Neighbours Broadwater Plaza Shopping Centre. Broadwater Avenue at Crescent Avenue Bus Stop directly in front with bus going directly to Sanctuary Cove or down to Southport. Corner to Broadwater Avenue Park. 2min walk to Bonny Babes Child Care Centre Hope Island 170m. 5min walk to Kids Academy Hope Island Early Education and Care 400m. 6min walk to Arcare Hope Island Aged Care 500m. 7min walk to Health & Medical Precinct including Hope Island General Practice, Queensland X Ray, Pharmacy, Pathology, Dentist, Physio, Podiatry and Specialists 550m. 9min walk to the newly opened Hope Island Market Centre including Woolworths, Aldi and a variety of dining & specialty stores 450m. 9min walk to Hope Island Tavern 700m. Driving Distance: 4min drive to Marina Shopping Village. 5min drive to Paradise Point Shopping and Retail Precinct. 5min drive to Coombabah State School. 7min drive to Helensvale State High School. 7min drive to Marine Village Sanctuary Cove. 8min drive to Pacific Motorway M1. Within 10min drive to The Pines Golf Course, The Palms Golf Course & Links Hope Island Resort Golf Course. 10 12min drive to Gold Coast Theme parks. 26min drive to Surfers Paradise. 45min drive to Brisbane CBD. The Gold Coast is the sixth largest city in Australia and to meet its rapidly growing population approximately 8,000 new dwellings per year are required. New residential supply is at extremely low levels and including the vacancy rate of under 2% the Gold Coast desperately requires new housing stock. Hope Island itself is located in the Gold Coast's northern growth corridor which is one of the fastest growing regions in Australia surrounded by mostly prestigious homes on or off the waters. All information contained herein is gathered from sources we consider to be reliable. However, we cannot guarantee or give any warranty about the information provided, interested parties must solely rely on their own enquiries. Address: 26 Broadwater Ave, Hope Island, QLD, 4212 Price: Offers from $2,000,000 + GST Inspect: Any Time, Vacant Land Contact: Harvey Huang/Peter Huang, D: 3373 9872, M: 0401 026 693, E: Harvey.huang@yong.com.au. 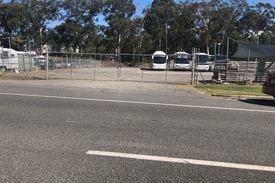 1.15Ha site previously operating as the "The Strawberry Farm" 192.6m frontage Located in rapidly growing Pimpama Highly visible from M1 Motorway Over 100,000 vehicles pass daily Surrounded by significant new housing developments Only 900m to the new Pimpama City Shopping Centre 6 minutes to Westfield Coomera Shopping Centre Easy M1 access both directions Zoned mixed use, fringe business precinct Includes double lock up storage shed, multi purpose building, kiosk amenities Strategically located asset in a high growth region Information Memorandum available on request approx Please contact the listing agent for more details by clicking on the link above. Disclaimer: Ray White has not independently checked any of the information we merely pass on. We make no comment on and give no warranty as to the accuracy of the information contained in this document which does not constitute all or any part of any offer or contract by the recipient. Prospective purchasers / lessees must rely on their own enquiries and should satisfy themselves as to the truth or accuracy of all information given by their own inspections, searches, inquiries, advices or as is otherwise necessary. No duty of care is assumed by Orchid Avenue Realty trading as Ray White Surfers Paradise Commercial divisions toward the recipient with regard to the use of this information and all information given is given without responsibility. This property is being sold without a price and therefore a price guide can not be provided. The website may have filtered the property into a price bracket for website functionality purposes. Land area 2,655m2 5 Lots in total potential to be split Lodged application for 132 units GFA of 28290m2 including basement levels 251 car parks in total 328 bedrooms Floor plans available on request Approx Disclaimer: Ray White has not independently checked any of the information we merely pass on. We make no comment on and give no warranty as to the accuracy of the information contained in this document which does not constitute all or any part of any offer or contract by the recipient. Prospective purchasers / lessees must rely on their own enquiries and should satisfy themselves as to the truth or accuracy of all information given by their own inspections, searches, inquiries, advices or as is otherwise necessary. No duty of care is assumed by Orchid Avenue Realty trading as Ray White Surfers Paradise Commercial divisions toward the recipient with regard to the use of this information and all information given is given without responsibility. 4.06ha site 95.3m front boundary Rural zoning 3 bedroom renovator's delight 288m2 shed / workshop Dam on site Potential for many uses (STCA) Owners will consider all offers approx Please contact the listing agent for more details by clicking on the link above. Disclaimer: Ray White has not independently checked any of the information we merely pass on. We make no comment on and give no warranty as to the accuracy of the information contained in this document which does not constitute all or any part of any offer or contract by the recipient. Prospective purchasers / lessees must rely on their own enquiries and should satisfy themselves as to the truth or accuracy of all information given by their own inspections, searches, inquiries, advices or as is otherwise necessary. No duty of care is assumed by Orchid Avenue Realty trading as Ray White Surfers Paradise Commercial divisions toward the recipient with regard to the use of this information and all information given is given without responsibility. This property is being sold without a price and therefore a price guide can not be provided. The website may have filtered the property into a price bracket for website functionality purposes. Secure Hardstand Site In Central Location $475 per week + GST (incl..
Approx 646m2 hard stand site Suitable for cars ,vans, boats etc Hardstand with services (power, water and sewerage) Fully fenced and secure site Central located just off the Gold Coast Highway Approx Disclaimer: Ray White has not independently checked any of the information we merely pass on. We make no comment on and give no warranty as to the accuracy of the information contained in this document which does not constitute all or any part of any offer or contract by the recipient. Prospective purchasers / lessees must rely on their own enquiries and should satisfy themselves as to the truth or accuracy of all information given by their own inspections, searches, inquiries, advices or as is otherwise necessary. No duty of care is assumed by Orchid Avenue Realty trading as Ray White Surfers Paradise Commercial divisions toward the recipient with regard to the use of this information and all information given is given without responsibility. Land area 9279m2 Minutes' walk to the new Hope Island Market Place 80 metres of water frontage Proposed 18 Lot Sub division or suitable for unit development (STCA) Potential for Retirement and /or Aged Care living Limited opportunities of this nature remaining in this location Contact Brad Merkur 0414 389 300 Approx Disclaimer: Ray White has not independently checked any of the information we merely pass on. We make no comment on and give no warranty as to the accuracy of the information contained in this document which does not constitute all or any part of any offer or contract by the recipient. Prospective purchasers / lessees must rely on their own enquiries and should satisfy themselves as to the truth or accuracy of all information given by their own inspections, searches, inquiries, advices or as is otherwise necessary. No duty of care is assumed by Orchid Avenue Realty trading as Ray White Surfers Paradise Commercial divisions toward the recipient with regard to the use of this information and all information given is given without responsibility. The subject site is spread over six (6) adjoining lots and has a combined area of 19.09 hectares. The site is located directly west of Sunland's approved 'The Heights' development, which comprises of 350 medium density residential lots. Given this proximity, potential synergies with Sunland's existing infrastructure (including roads and sewerage network) may be possible. Land area 19.09 hectares 6 lots can be purchased Zoning 'Rural Residential' Rapidly expanding corridor 5 minutes to the cafes, shopping centres, schools and M1 motorway 20 minutes to Southport CBD 40 minutes to Brisbane CBD Approx Disclaimer: Ray White has not independently checked any of the information we merely pass on. We make no comment on and give no warranty as to the accuracy of the information contained in this document which does not constitute all or any part of any offer or contract by the recipient. Prospective purchasers / lessees must rely on their own enquiries and should satisfy themselves as to the truth or accuracy of all information given by their own inspections, searches, inquiries, advices or as is otherwise necessary. No duty of care is assumed by Orchid Avenue Realty trading as Ray White Surfers Paradise Commercial divisions toward the recipient with regard to the use of this information and all information given is given without responsibility. 3 542 SQM of land Fenced & gated Power available Available 1.11.2018 Outgoings included in rental For more information please contact Tony Morena. Approximate If Applicable DISCLAIMER: Subject to the provisions of the Trade Practices Act 1974 and subject to any other non excludable statutory provisions. Ellison Specialised Properties Pty Ltd for themselves and for the Vendors of this property for whom they act give notice that: (i) all information given in relation to this property whether contained in this document or given orally, is given without responsibility; (ii) intending purchasers should satisfy themselves as to the truth or accuracy of all information given by their own inspections, searches, enquiries, advices or as is otherwise necessary; (iii) no person in the employment of Ellison Specialised Properties Pty Ltd has any authority to make or give any representation or warranty whether in relation to this property. 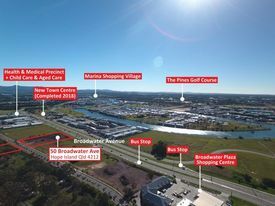 Centrally located in Nerang, this Price Street development site has great potential for residential and commercial developers. It's location provide high exposure and easy access which would suit a vast range of development concepts. In summary, the property offers: Land Size 713m2 3 Storey High Limit RD3 density allowance Zoned "Centre Zone Code" under the Gold Coast City Plan The site also benefits from a current Development Approval for: 3 Storey commercial office 15 parking bays GFA of 1,170m2 Flexible zoning allows for residential development as well Concept plans available available. Nerang is becoming an administrative hub and as the Gold Coast's most populated suburb, with great access to the M1 and very little congestion, this is the ideal place for a commercial or boutique residential development. Please contact Tony Grbcic or Adam Grbcic for more information. This DA approved project when completed, will be the catalyst for change in the Southport CBD precinct. It will prove to be a magnet of activity with a well thought out master plan comprising a hotel, apartments, serviced apartments, student accommodation and retail space, right in the centre of town. Sales: 158 units already pre sold with deposits held in Trust DA Approval Includes: 264 Units (158 already pre sold with deposits held in Trust) 225 Bed Hotel (4 Star proposed to suit business travellers, international inbound tour groups, education professionals, law court professionals and the domestic market) 500m2 Retail or Restaurant commercial space at street level Management Rights x 2 Hotel and Residential Unit Tower Full plans and materials available by appointment only. Provide full contact details when applying. Freehold available at extra cost If you are looking for a business in the perfect location than look no further. This well established successful restaurant has been trading for more than 16 years in the heart of the premier entertainment precinct on the Gold Coast. Our enviable reputation for quality food and impeccable service is widely recognised from visitors and local loyal clientele that keep coming back again and again. 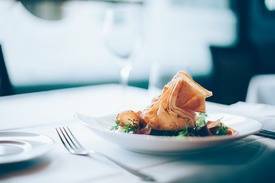 This is an extraordinarily successful restaurant that is surrounded by a major shopping mall, other restaurants and bars and major Hotels, motels, holiday and permanent apartments. All these provide a huge amount of traffic passing our restaurant every day. The GC tram, Star Casino and the Convention Centre also brings massive passing potential trade. We have exceptional, well trained staff that provide the highest standard of service to our customers and within the operations needed to run the business. The new owner could walk in and trade from day one knowing that there is a team of staff members that will ensure the business is running smoothly. There is also the opportunity to introduce breakfast and afternoon tea to the surrounding accommodation places and team up with Uber eats and Deliveroo. Home delivery is growing at a massive rate with more people wanting quality food with beverages to eat at home. This would open a whole new business revenue increasing profits even further. The presentation of the Restaurant is designed in a modern classical décor with elegant surroundings so there is no requirement to do any refurbishing. The restaurant has seating for 100 patrons or more with bookings requested in advance. This business would be ideal for someone who is ambitious and is looking to grow and expand the business to its full potential. With a loyal customer base for more than 16 years and introducing a home delivery service to a huge surrounding market, the possibilities are just endless! Features of this exciting business opportunity include: Annual turnover in excess of $1,100,000 Weekly turnover in excess of $20,000 Commercial quality kitchen with large storage and all equipment in perfect working Exceptional and well trained staff that provide the highest standard of service Operating since 2002 with a very large and loyal of happy customers This is the ideal business if you are looking for something that is already successful but has the potential to grow even further. If you love entertaining, meeting people from around the world and create a financial future for you and your family, then this is the business for you. For a confidential discussion, please call the number above TODAY! Land area of 1055m2 Approved for 25 levels and 96 units Corner location offering exceptional view corridor Opportunity for hotel / serviced apartments DA can be amended to suit various options The subject property sits on a large corner point position located on the north side of Surfers Paradise. Close proximity to light rail, cafes, bars restaurants the current approval offers a great end product for permanent accommodation needs and or the short term / rental market. For further information please contact Brad Merkur. Approx Disclaimer: Ray White has not independently checked any of the information we merely pass on. We make no comment on and give no warranty as to the accuracy of the information contained in this document which does not constitute all or any part of any offer or contract by the recipient. Prospective purchasers / lessees must rely on their own enquiries and should satisfy themselves as to the truth or accuracy of all information given by their own inspections, searches, inquiries, advices or as is otherwise necessary. No duty of care is assumed by Orchid Avenue Realty trading as Ray White Surfers Paradise Commercial divisions toward the recipient with regard to the use of this information and all information given is given without responsibility. 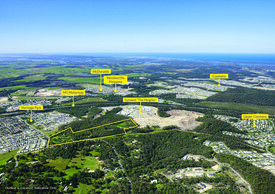 Elevated site offering great views Located within 150 metres to local shopping centre Zoned Low Density Residential Land area 27,100m2 457 Tamborine Oxenford Road, Upper Coomera sits within the Low Density Residential Zone Code. Possible uses for this site may consist of Residential care facility and Retirement facility, single lot dwellings and potential for townhouses (STCA). Please contact the listing agent for more details by clicking on the link above. Approx Disclaimer: Ray White has not independently checked any of the information we merely pass on. We make no comment on and give no warranty as to the accuracy of the information contained in this document which does not constitute all or any part of any offer or contract by the recipient. Prospective purchasers / lessees must rely on their own enquiries and should satisfy themselves as to the truth or accuracy of all information given by their own inspections, searches, inquiries, advices or as is otherwise necessary. No duty of care is assumed by Orchid Avenue Realty trading as Ray White Surfers Paradise Commercial divisions toward the recipient with regard to the use of this information and all information given is given without responsibility.